SAN FRANCISCO (AP) - Google's attempted detour around China's Internet censorship rules was met with countermeasures Tuesday by the communist government, which blocked people on the mainland from seeing search results dealing with such forbidden topics as the pro-democracy movement. China's maneuver, as well as its public rebuke of Google's decision to stop censoring searches for the government, rattled some of the company's investors, advertisers and users. The chief concern is whether Google poisoned its business in one of the world's most promising Internet markets. One analyst critical of Google's move predicted the maneuver will cause the company's stock to fall by as much as $50 - or about 10 percent - in the coming weeks. The stock fell $8.50, or 1.5 percent, to $549 Tuesday. Last month, Google said it no longer felt comfortable complying with the country's demands that it censor Web content deemed objectionable by the communist rulers. 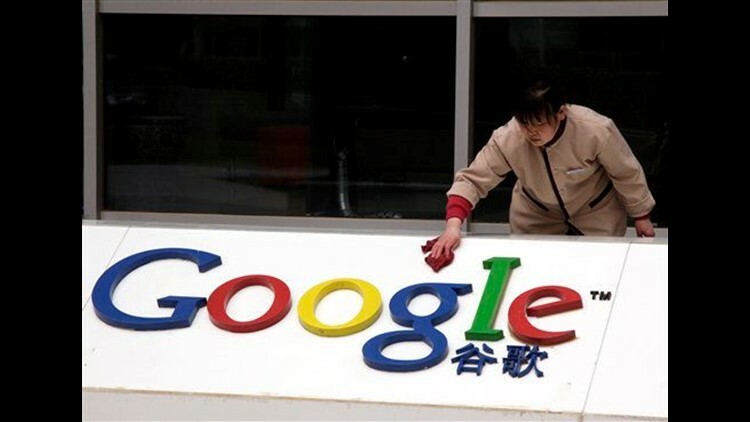 On Monday, Google began sending Web searchers in mainland China from the China-based Google.cn to Google.com.hk, based in Hong Kong. The former British colony has an open Internet, and Google is not legally required to censor results there. But that end-run doesn't prevent China's government from using its Internet filters - known as the Great Firewall - to block some search results and Web sites from being seen in the mainland. On Tuesday, a search request from within mainland China about the 1989 Tiananmen democracy protests returned a notice that the "page cannot be displayed." It also caused the Web browser to disconnect for several seconds. Under the old google.cn, a similar query usually returned a list of sanitized sites about Tiananmen Square. If the Chinese leaders really want to foil Google, they could block all mainland access to the Hong Kong service. Or they could exert their control of Chinese telecommunications companies to slow the speed of queries and responses, to help drive traffic to homegrown rivals. "It really comes down to the extent of their vindictiveness," said Duncan Clark, managing director of BDA China Ltd., a technology market research firm. The tensions between Google and China's government already appear to be denting the company's business. TOM Online, a provider of online and mobile services in China that is owned by a Hong Kong tycoon, said it would not renew an alliance with Google to avoid violating any Chinese laws. Owners of Chinese businesses also may be more reluctant to advertise on Google for fear of reprisals. If that happens, Google may reduce its sales force in China. For now, the company is maintaining both its engineering and sales staffs in the country, reflecting its hope that the Chinese government's anger will cool off. Google also believes it will be able to revive plans, delayed for now, to have its Android software support more mobile phones and applications in China. Other foreign companies that have angered the Chinese government have been stymied in the country. American defense contractor Raytheon Co. closed its Beijing offices last year in frustration over its inability to win contracts for commercial aviation and consulting services. American executives believed Raytheon was being penalized for selling its Patriot missiles to Taiwan. Although Google discussed various options in talks with the Chinese government over the past two months, the company made its decision to shift mainland traffic to Hong Kong without the ruling party's approval. Google makes relatively little of its money in China now. Analysts have estimated the country accounts for $250 million to $600 million of its $24 billion in annual revenue. But the pie is expected to get substantially bigger as China's economy expands and the country's Web audience increases beyond the roughly 350 million people online now. Susquehanna Financial Group analyst Marianne Wolk expects China's Internet ad market to grow from about $3 billion last year to as much as $20 billion in 2014. Google appeared to be well positioned to pick up about $5 billion to $6 billion of that projected 2014 revenue, Wolk said, because its Chinese search engine has a roughly one-third share - a distant second to the homegrown Baidu Inc. But Google's share is likely to shrink if the Great Firewall blocks or slows traffic. BGC financial analyst Colin Gillis said he expects Google's dustup with the Chinese government to reduce the company's market value by $10 billion to $15 billion, or $30 to $50 a share. "What Google has done is a slick trick, but it's also a direct slap in the face to the government," Gillis said. "The repercussions from this will be going on for several years." Gartner Inc. analyst Whit Andrews said any financial pain Google suffers will be worth the respect the company wins for refusing to bow to a government's demands. "Google now has irreproachable proof of its editorial objectivity," he said. In China some Internet users mourned Google's exit, placing flowers and chocolates at the large Google sign in front of the company's offices in Beijing. But others noted that the situation could raise awareness about China's strict online censorship. Zhang Shihe, a freelance Chinese journalist and well-known blogger, said coverage of Google's departure could spur Chinese to demand more free speech online and offline. "The incident has angered and saddened a lot of netizens, and now they will understand what type of country we live in," said Zhang, who blogs under the name "Tiger Temple." ''This is another win for freedom of expression." Associated Press Writers Alexa Olesen, Charles Hutzler, Gillian Wong and Anita Chang and researcher Xi Yue in Beijing contributed to this report.